1. The Bill for decayed Houses of Husbandry. The four last Bills sent to the Lords by Mr. Treasurer. The Lord De la Wares Bill, delivered to Mr. Denton, &c.
3. 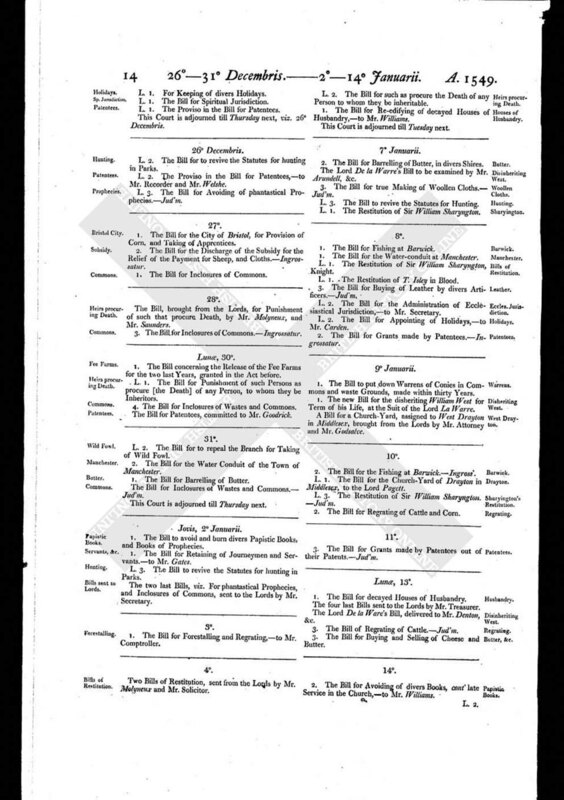 The Bill of Regrating of Cattle. - Jud'm. 3. The Bill for Buying and Selling of Cheese and Butter.